SoftMaker Office - An affordable, lighting-fast, easy to use and the most compatible Microsoft Office alternative. Includes TextMaker, PlanMaker, and Presentations. Supports the latest Microsoft Office Open XML file(.DOCX, .XLSX, and .PPTX) formats and PDF export. Kingsoft Office Standard 2012 is an easy but effective office productivity suite which allows users to create, edit and save commonly used office documents. It is fully compatible with Microsoft office from office 97 to 2010. It adopts a ribbon interface for users to manage files more conveniently. It features a spell checker, PDF converter, paragraph adjustment tool, tables with drop and drag function, encryption, template, online update,etc. WPS Office 2016 free edition is the perfect free office suite for opening, creating and editing documents, that provides you three powerful applications known as WRITER, SPREADSHEETS and PRESENTATION. It is highly compatible with MS Office while unique Sponsored Access design allows you to use all of the functions and features at no cost to you. The new WRITER offers the powerful feature of PDF to DOC/DOCX and plus split and merge PDF files. 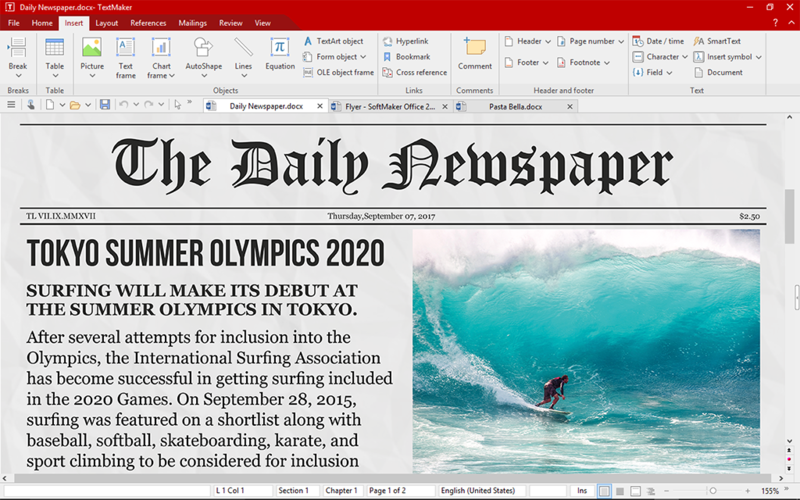 SoftMaker Office 2016 for Windows: fast, powerful, compatible. With SoftMaker Office 2016, documents, calculations and presentations are handled just as fast as E-mail correspondence or your appointment and task planning. SoftMaker Office 2016 is the professional office alternative \'made in Germany\' that works seamlessly with all your Microsoft Office files. Choose SoftMaker Office to become more productive immediately. Download Office 2014+ now and discover all it has to offer comprehensive suite : Words, CalcSheet, Presentations, Draw, Database and Chart. All these programs make Office 2014+ a true all-terrain software that lets you do whatever you need. These fantastic options have been specially designed for your daily activities to be easier, safer and faster; whether they are office tasks or academic activities.